The 2004 Olympic Champion and 2008 Olympic Silver medallist Zhu Qinan of China won today’s 10m Air Rifle Men event, the first final round of the 2010 ISSF World Cup in Rifle and Pistol events in Fort Benning. “This has been my best final since the 2004 Olympics!” exclaimed the 2004 Olympic Champion Zhu Qinan of China, right after the last shot of today’s 10m Air Rifle Men final at the ISSF World Cup in Rifle and Pistol events in Fort Benning, USA. The 25-year old Chinese shooter, currently ranked first in the world in this event, led the competition since the qualifications. Making it into the final match with the top qualification score of 599 points (just one point shy of tying the world record), Zhu shot 104.1 points throughout the ten final shot. Finishing in first place with a total score of 703.1 points, he secured his tenth ISSF World Cup Gold medal. “I want to be the World Champion, now. 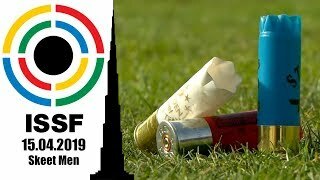 Nothing less!” continued Zhu, mentioning the 50th ISSF World Championship in all events, which will take place in Munich between July and August, this year. 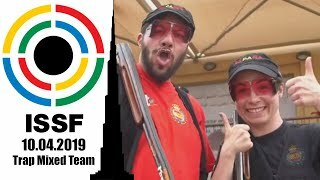 “The first quota places for the 2012 Olympics will be awarded there, but my final goal is to become World Champion!” concluded the Chinese shooter, who had finished in third at the lat ISSF World Championship edition, in Zagreb, in 2006. The Chinese team also celebrated the Silver medal won by Zhu’s teammate Wang Tao, competing in his second ISSF World Cup event, today. The 27-year old shooter finished in second place claiming Silver with a total score of 701.2 points (597+104.2), climbing from the fifth place by shooting today’s highest final score. Bronze went to Russia’s Serguei Kruglov, 25, the 2010 European Champion of Meraker. 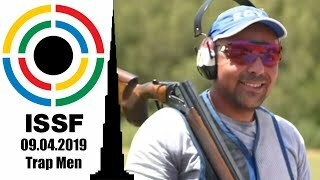 The Russian shooter, starting off the final in third place with 597 points, shot 103.9 points throughout the ten-shot final, overtaking his teammate Prikhodtchenko to finish on the third step of the podium with a total score of 700.9 points. 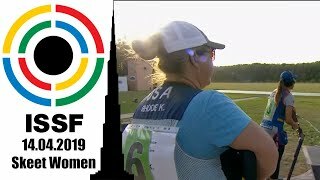 The ISSF World Cup in Rifle and Pistol events in Fort Benning continued with the 10m Air Pistol Women event, taking place at 15.30 (GMT-5). 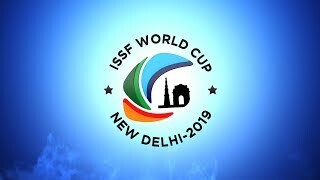 Don’t miss world’s best shooting, follow the match live on www.issf-sports.org !